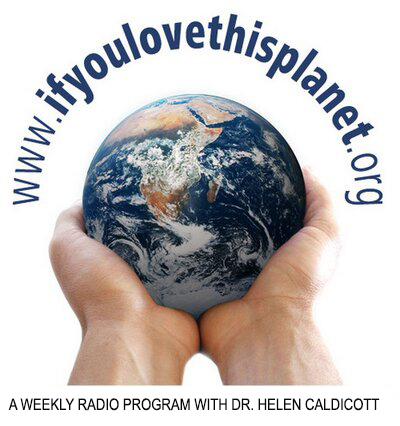 In My Own Words - Helen Caldicott, M.D. What got you started on the path to being a nuclear weapons abolitionist? It began back when I was in my teens and read Neville Shute’s novel, On the Beach. It was about a nuclear holocaust that was set in Melbourne. At the end of the book, it was the end of the human race. That’s when I lost my psychological virginity – instead of being a teenager looking forward to the future and smelling the orange blossoms, I was from then on acutely aware that the world could end. Then I entered medical school at age 17 and learned about radiation, genetics and biology. At that time, Russia and America were testing weapons in the atmosphere, polluting the northern hemisphere with radioactive fallout and I couldn’t for the life of me, as a young female medical student, understand what on earth these men were doing. Still to this day, I’m very aware that life on Earth could end any day. When you were in Santa Barbara a few years ago to give the Foundation’s Kelly Lecture on Humanity’s Future, you mentioned Ronald Reagan. Given the current circumstances, I’m wondering if you care to comment on Trump? You know it’s bad when you go to bed and wake up to something even worse. He should be removed from office—physically picked up and removed. But no one’s got the guts to stand up to him. I’m worried because there should be a huge revolution in America and people should be waking up and saying we want our children and descendants to survive and experience the beauty of life on Earth – or do we not care? We need people who will stand up and take on the powers with absolute morality and fearsome will. How do you think we can get today’s youth more engaged in the nuclear abolition movement, specifically in the U.S.? The problem is that it goes back to what Jefferson said: an informed democracy will behave in a responsible fashion. America is totally uninformed and all the young kids are on social media. They haven’t even talked to each other so they’re not informed, they’re not educated about what has happened to the planet and it’s very terrifying. What worries you most about the world today? We’re at a point now where we can’t be too radical. We’re the microbes that infect the earth and we either save it or we don’t. We’re heading towards annihilation with global warming and nuclear war and if you read what the corporations in America are doing, the military-industrial complex, selling weapons all over the world, and lots of other countries are into weaponization, too. I’ve never really said this before publicly, but as a physician, analyzing the data as we do with our patients, and taking everything into account to work out a prognostication, I’d say it’s grim. But you must see some hope? Really, the golden key to the future of survival is the women. We’re 52% of the world’s population. If we all rose up and said, Look you blokes, you’ve had your chance. Now we’re taking over because you’re heading us towards annihilation. That’s the golden key to survival, but most women don’t even know what’s going on. We need that ferociousness where the lion has to protect her cubs. It’s certainly inherent in every woman. But how do we reach the average woman who is mostly consumed with just getting by, putting food on the table and gas in the car? You’ve got to do it on a mass basis. The only way to do it is through mass media; it’s the only way. We’ve got to educate, engage and inform women so that they cast aside their apathy. It starts with a hash tag, a like, a re-tweet. And the media is forced to pay attention. Then and only then, will the ferociousness of the lion rise up to protect the world. And finally, after a lifetime devoted to saving the planet, how do you spend your valuable time these days? I’m 80 years old and I was going to write another book, “Why Men Kill and Why Women Let Them” and then I decided instead to immerse myself in the beauty of nature – the very thing I’ve always struggled to save. 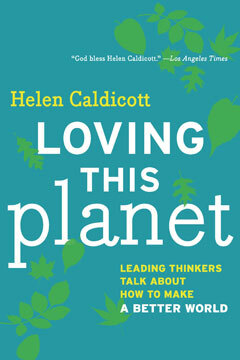 When Helen Caldicott was a teenager, she read a book that would change her life. It was entitled On the Beach. 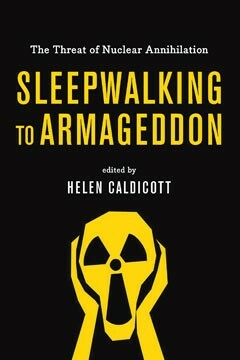 Since then, Dr. Caldicott has devoted herself to educating the public about the medical hazards of the Nuclear Age and the changes in behavior necessary to prevent human and environmental devastation. She has awakened the world to the importance of reaching nuclear zero and to the need for organized action if we are to ensure a safe future for our children and grandchildren. 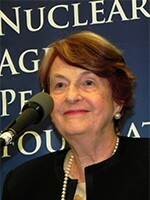 Dr. Caldicott, a physician and former Harvard University professor of pediatrics, has written seven books, co-founded Physicians for Social Responsibility, founded Women’s Action for Nuclear Disarmament, and is the President of the Helen Caldicott Foundation for a Nuclear Free Future. She was nominated for the Nobel Peace Prize by Linus Pauling – himself a two-time Nobel Laureate. The Smithsonian has named her one of the most influential women of the 20th Century. How can one help Dr Caldicott?